MAHATRANSCO Recruitment 2017 – Apply Online for 100 Assistant Engineer Posts :-Maharashtra State Electricity Transmission Company Limited (MAHATRANSCO) has published latest notification for filling up 100 posts of Assistant Engineer (Trans & Civil). Desirous & eligible candidates can apply online from 25/10/2017 to 15/11/2017. 1. Assistant Engineer (Trans) : Bachelors Degree in Electrical Engineering / Technology. 2. Assistant Engineer (Civil) : Bachelors Degre e in Civil Engineering / Technology. Starting Date of Online Application :25/10/2017. Last Date of Online Application : 15/11/2017. Application Procedure : Eligible candidates can apply online through the website http://www.mahatransco.in form 25/10/2017 to 15/11/2017. 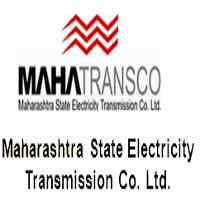 Maharashtra State Electricity Transmission Company Limited (MAHATRANSCO) has published latest notification for filling up 26 posts of Surveyor Grade-2. Desirous & eligible candidates can apply online from 16/06/2017 to 05/07/2017. Educational Qualification: ITI certificate in Surveyor trade recognized by NCTVT. Starting Date of Online Application :16/06/2017. Last Date of Online Application : 06/07/2017. Application Procedure : Eligible candidates can apply online through the website http://www.mahatransco.in form 16/06/2017 to 06/07/2017. Subscribe our free job alert mail for MAHATRANSCO Recruitment 2017.